At Mosaic we train fantastic hairdressers. We are currently looking for enthusiastic, energetic candidates who are passionate about hair. If this sounds like you, get in touch today! Mosaic Hair Studio is stylish, professional, very welcoming and strives to make your visit as perfect as possible, which it does through a strong training ethic for all the team. We aim to maintain high standards and continually develop excellence in hairdressing. Mosaics are made of unique individual pieces and when put together make a work of art! This describes perfectly the Mosaic hairdressing team and the company’s attention to detail beautifully. 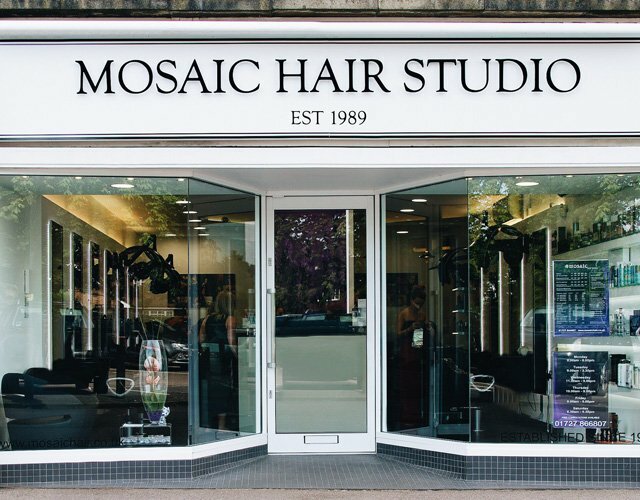 Established in 1989, Mosaic Hair Studio is a hairdressers in St Albans, situated at the Quadrant in Marshalswick, on the outskirts of St Albans city centre. This small but busy shopping area offers a good selection of shops and eateries and 3-hours free parking available. Our team of friendly and knowledgeable hairdressers are on hand throughout your time at our hair salon to provide expert advice on the latest styles and trends to ensure you leave our studio with a hairstyle that you will love. 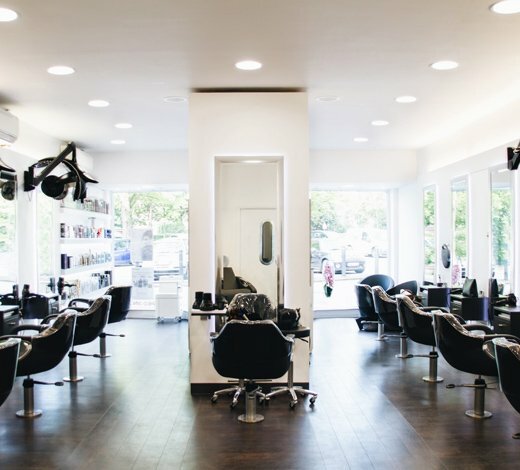 We are your local hairdressers in St Albans upon every visit to our hair salon, you'll be greeted with a warm welcome and a relaxed atmosphere to allow you to fully enjoy your experience with us. For nearly 30-years as a hairdressers in St Albans, we have developed a reputation as one of the most friendly and welcoming hairdressers within the local area. We've gained an enviable reputation throughout this time with a huge number of happy customers as testimony of this. We are continuously looking to improve our hairdressing service to ensure we can meet the high-standards expected of us. Our team of professional hairdressers are trained to the highest standards in all areas of hairdressing. We enedeavour to keep up with the latest trends and styles to ensure that you leave our hair salon looking and feeling amazing. From classic to cutting edge hairdressing, our hairdressers are here to listen and provide expert advice to help you make the right choice on your next hair cut. 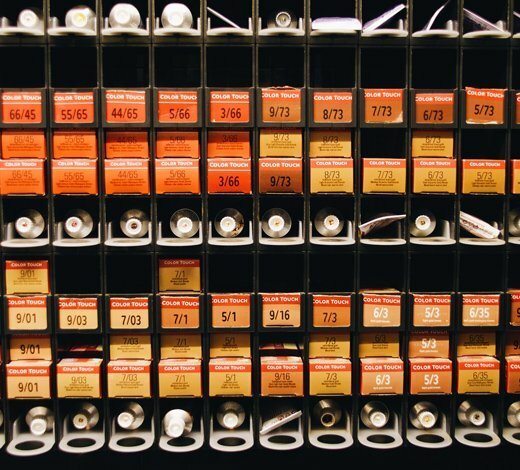 We have in-house master colour experts who are on hand to assist with getting a hair colour thats right for you. We can provide a consultation, and provide advice based on your hair style, skin tone and budget. Our newly renovated hair salon is equipped with the latest equipment, including a full-colour studio where our master colour experts can provide a consultation to help you get the hair colour that works for you. All of our hairdressers have a keen attention to detail and trained to the highest standards. To allow our team to keep on top of the latest techniques, they are provided with time to continually improve their skills in classic and cutting edge hairdressing and the most recent products. Our hair salon in St Albans provides the full hairdressing service. 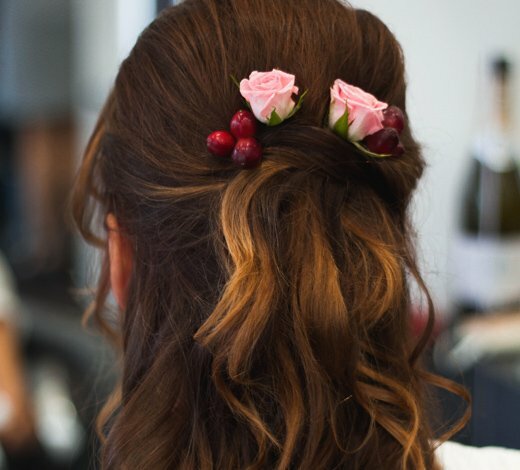 Should you require a bridal hair stylist or a specialist for parties or proms, our team can help you look and feel fantastic for your special day. Our wedding hair service is tailored to fit your specific requirements. Our hair stylists help to ensure you start your day in the smoothest and most relaxed way, we will carry out an initial discussion, so we know exactly what you are looking for as well as practice runs before your big day. For further information about our bridal hair service, please contact our team today who will be happy to assist with your enquiry. Since 1989, we have completed hundreds of haircuts, allowing us to develop a reputation as one of the leading hair studios in the local area with a keen attention to detail and an ethic for maintaining the highest standards in hairdressing. We ensure our team of hairdressers are up-to-date with the latest of cutting edge of hairdressers, the latest products as well as classic hairdressing techniques. For further information regarding any of our services or to book an appointment, contact our team today who will be happy to assist with your enquiry. Mosaic Hair Studio, is an established independent hairdresser in St Albans with more than 20-years experience in the industry. We are local to areas such as Harpenden, Hatfield, Watford, Hemel Hempstead, Dunstable, London Colney, Wheathampstead, Radlett. Our team is fully committed to providing the highest-standards in hairdressing and customer care. It could not be easier to arrange your hairdressing appointment at our hair salon. You can book online, enquire through our website or call us direct and speak to one of our friendly and knowledgeable team members. We are open 6-days a week (closed on Sunday's) and have 3-hours free car parking available. Choosing a hair style is an incredibly personal and sometimes difficult choice to make. Our team of hairdressers, technicians and stylists are all trained to the highest standards in hairdressing. We are on hand to provide you with all of the friendly expert guidance you require to make the right choice for you and your hair. We take great pride in being able to offer an unrivalled level of customer service during every one of your visits to our hair studio. As well as giving you great advice on choosing a hair style or colour, we will also provide you with specialist advice on how to maintain and care for your hair at home. We also have a full stock of products to to keep your hair healthy for all types of hair. We look forward to seeing you upon your visit to Mosaic Hair Studio.